Civilians who have fled fighting in Baghouz waited to board trucks after being screened by members of the Syrian Democratic Forces at a makeshift screening point in the Syrian desert on Saturday. BEIRUT — US-backed Syrian forces captured 41 positions held by Islamic State group militants and destroyed their fortifications in the last tiny pocket they hold in eastern Syria amid fierce fighting, a spokesman said Sunday. Mustafa Bali said the Kurdish-led Syrian Democratic Forces made the advances overnight and on Sunday, hours after they launched a final push to clear the area from militants Saturday night. 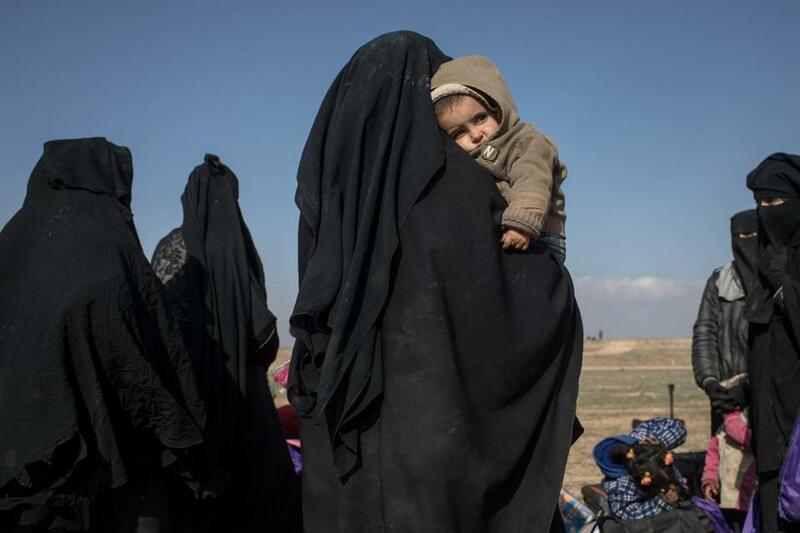 The final battle to clear the village of Baghouz is now playing out after 20,000 civilians were evacuated from the area in the eastern province of Deir-el-Zour over the past few weeks. Bali said heavy fighting was going on inside Baghouz on Sunday, adding that an Islamic State counterattack was foiled early in the day. He did not say how long the battle was expected to last. US-led coalition warplanes are giving cover to advancing SDF fighters. President Trump predicted Wednesday that the Islamic State group will lose by next week all the territory it once controlled in Iraq and Syria. That would mark the end of a four-year global war to remove the extremist group’s territorial hold over large parts of Syria and Iraq where the group established its self-proclaimed ‘‘caliphate’’ in 2014. US officials have said in recent weeks that the Islamic State has lost 99.5 percent of its territory and is holding onto fewer than 2 square miles, where the bulk of the fighters are concentrated. But activists and residents say militants still have sleeper cells in Syria and Iraq and are laying the groundwork for an insurgency. The US military has warned the group could stage a comeback if the military and counter-terrorism pressure on it is eased.